Home and office technology continues to advance at a fast pace, and it is difficult to always discern if certain tech gadgets are useful or just another trendy flash in the pan. In such an environment it is easy to see the benefits of using a wireless HDMI extender in the home or at the office, as it is a clear-cut example of useful tech. This set-up allows you to transmit HD data from the source to a television or another monitor, all without wires. This technology is especially helpful when the TV/monitor is located in a different room than the source device as they are able to transmit through walls. THE BASICS The wireless HDMI extender will transmit from a source to an outside display device up to 650 or so yards. What may be counter-intuitive is the fact that WiFi is not required, nor is there any software to deal with; the best models are plug-in and go. Sourcing copper cables longer than 50 feet can be problematic and expensive. If the HDMI transmitter is needed in a conference room for example accommodations will need to be made to drop the cables below the floor or attach them to the baseboards, thus adding to the project's expense. ADDITIONAL CONSIDERATIONS There may be a fractional amount of lag time but nothing that is noticeable to the naked eye. The latency rate is equal to the time of a camera flash, so unless you are living in a nanosecond world, you shouldn't notice this at all. Wired installs can be time-consuming and costly. If you are looking to screen HDMI audio and video, you could be looking at some serious cash outlay for copper cables. The utilization of an HDMI over wireless device negates the need for cables which in addition to their cost, are unsightly. And we all know that shared equipment in the workplace makes equipment such as HDMI connectors prime targets for loss and confusion. HOW TO USE The wireless extender is a fairly straightforward and easy to use proposition, but there are a couple of considerations to make during set-up. The wireless extender base will live near the display (TV, console, or monitor) and the transmitter can send a signal through walls, therefore, allowing it to be placed in another room. Wireless extenders are ideal for conference rooms or in the home if you wish to play content on a display device. The set-up is quite simple and the equipment hides away rather easily when not in use. 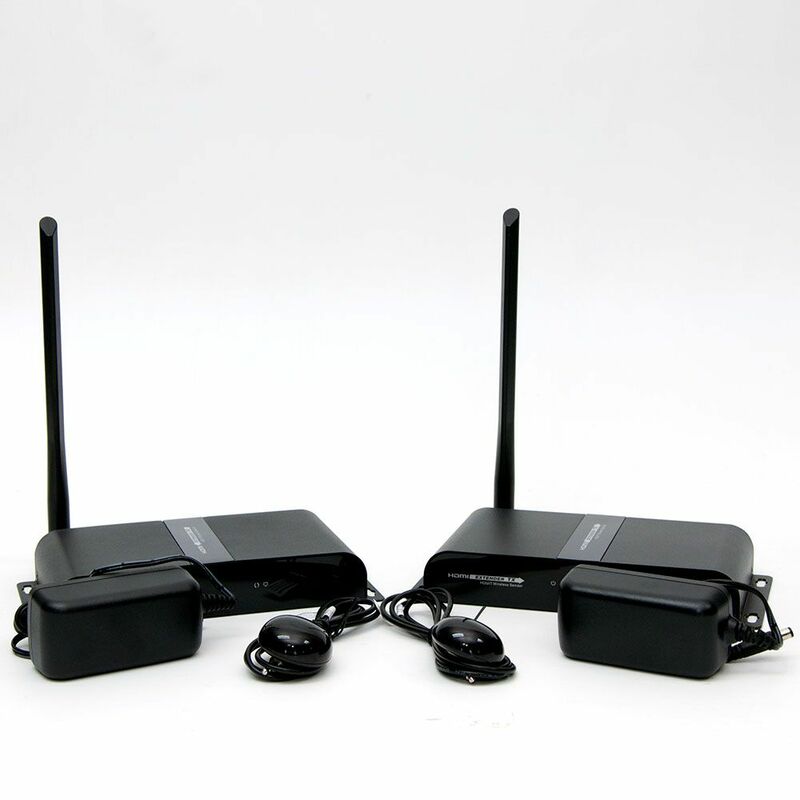 All in all, the wireless HDMI extender is an effective solution for source/display situations. In addition to temporary HDMI projection, this device is a good solution for signage and other static considerations. If you are cord averse and prefer to have a sleek set-up that looks neat and tidy, the wireless HDMI extender is for you. Don't forget to check Firefold's deals of the week, there's always something great in there!